Dalla Valle Vineyards was formed in 1982 by Gustav and Naoko Dalla Valle. The Dalla Valle family has along history of making wine in their native country Italy. The wine made its official debut in 1986, the same year they built the winery. The next major step was the debut of Maya, produced from an almost equal blend of Cabernet Sauvignon and Cabernet Franc. Located on a plateau in Oakville, their 21 acres of vineyards are planted to Cabernet Sauvignon and Cabernet Franc on rocky, volcanic soils off the Silverado Trail. Their terroir consists of red stony soils with loam and clay. In the estates formative years, Heidi Barret was their winemaker. If her names familiar, she was also involved with Screaming Eagle. She was replaced by Mia Kilen who was replaced by Andy Erickson. Interestingly, Andy Erickson was a wine maker for Screaming Eagle. Michel Rolland, the globe trotting consultant works with Dalla Valle on the wines and vineyard management. Dalla Valle produces two main wines, Cabernet Sauvignon and a proprietary blend of approximately 50% Cabernet Franc and 50% Cabernet Sauvignon called Maya, which made its debut in 1989. By 1992, Maya was considered one of the hottest California Cult wines from Napa. However, the property needed to conduct serious replanting of the vines that produced Maya. This caused a temporary halt in production of the wine. The vines are now starting to produce quality mature fruit and Maya is on track to once again being considered one of the top Napa wines. Dalla Valle also produced a Sangiovese sold under the name of Pietre Rosse, which is no longer in production. Pietre Rosse was a non vintage experimental wine produced from a combination of Sangovese grapes from Tuscany blended with 25% Cabernet Sauvignon and 3% Cabernet Franc from the Dalla Valle estate’s vineyards in Oakville. Dalla Valle added a new wine to their portfolio made from the estates young vines, Colina Dalla Valle. Dalla Valle is a firm believer in low yields, which are on average 1.5 tons per acre. Fermentation takes place in stainless steel vats. Malolactic fermentation takes place in French oak and the wines are aged in an average of 70% new, French oak barrels. Maya is one of the longest lived wines from California and can take over a decade before starting to express its full character. 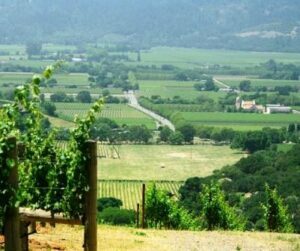 Dalla Valle owns 21 acres of vines in the Napa Valley. On average, the production of their entire portfolio is still under their goal of 3,000 cases per vintage. 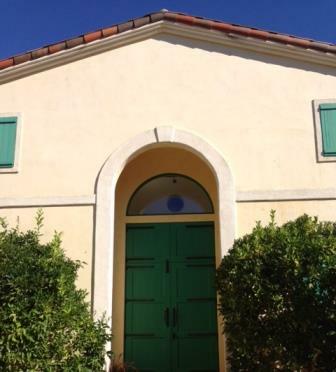 The majority of Dalla Valle wines are sold through a private mailing list from the winery. Dalla Valle wines are best served at 15.5 degrees Celsius, 60 degrees Fahrenheit. The cool, almost cellar temperature gives the wine more freshness and lift. Young vintages of their red wine can be decanted for 1-3 hours, depending on the character of the vintage. This allows the wine to soften and open its perfume. Older vintages might need very little decanting, just enough to remove the sediment. Dalla Valle is best served with all types of classic meat dishes, veal, pork, beef, lamb, duck, game, roast chicken, ribs, hamburgers, barbecue, roasted, braised, grilled dishes and stews. Dalla Valle is also good with Asian dishes, hearty fish courses like tuna, salmon, mushrooms and pasta. Medium bodied, with dusty tannins and fresh, bright, red berry character, this will probably age, but it probably lacks the stuffing from the best years to develop a lot of complexity. Just a gorgeous style of California Cabernet Sauvignon here. The deep, dark fruits are ripe, sweet, supple textured and fresh. The wine has weight, density, complexity and length. Balanced and already open, while this clearly can age for another decade or 2, if you like young wine, it is not a bad thing to pop a cork. Powerful, rich, concentrated, yet refined in its texture and tannins, the wine is loaded with sweet, ripe black and red fruits, smoke and truffle. Blending 67% Cabernet Sauvignon with 33% Cabernet Franc, like all the great vintages of Maya, this will be better in 10 years, and even better with 20 years of age. Fresh brewed espresso, licorice, black cherry, smoke and herbal notes create the aromatic display. In the mouth, the full bodied, concentrated wine is soft, round and plush, finishing with chocolate covered, black raspberry and cherry sensations. Black and blue fruit, coffee, spice and earthy scents open to a rich, round, sweet, ripe delicious wine that is already a lot of fun to drink. Deep, dark in hue, with licorice, coffee, jammy blackberry and fresh herb notes in the perfume. Thick, rich, polished and pure, the wine ends with layers of lush, polished, dark, jammy berries. A super wine, with layers of ripe, sweet, lush, juicy black and blue fruits, silky, polished tannins and a round, sensuous, full bodied, opulent finish. Youthful, but already enjoyable. The wine was packed with juicy, fresh blackberry, cassis, earth and vanilla notes. Because this is lighter in style than the wines made a few years earlier, while still young, it's quite nice to drink today. This is a wine I seldom get to taste anymore. After tasting this wine, I know what I've been missing out on. This is dense. There is so much fruit, ripe, but powerful tannins, energy freshness, complexity of aromas and length, it was hard to believe. And at close to 14, the wine is still young! If I owned a bottle, I'd give it another 3-5 years before popping one. Licorice, earth, blackberry, earth and black currants open this full bodied, ripe, concentrated California Cabernet Sauvignon. The wine finishes with a big, juicy mouthful of spicy cassis. Dense and intense, this rich, concentrated, youthful blend of 55% Cabernet Sauvignon and 45% Cabernet Franc is packed with ripe blackberries, licorice, coffee bean, dark cherry and wet earth. Full bodied and powerful, yet classy and not over the top, this stylish wine can be enjoyed now and for at least another decade or two. The first bottle was heat damaged tragically. The second bottle more than made up for it with its attention seeking baked cherry, smoke, caramel, thyme, tobacco and herb nose. Silky, full bodied, lush, sweet, ripe and mouth filling, with true intensity of flavor, this could get even better with a few more years of age. Black fruit, cassis and a nice touch of oak. Huge wine with immense concentration is made even better with a multi layered, plus texture. An excellent wine produced in a great style. OK, while this is not close to the level of quality found in the sublime Maya, it’s a lot less money! And as you can see, this is super in its right and it’s in the perfect place, if you like fresh, sweet, juicy, ripe fruits, cedar, earth and a blast of cherries in your concentrated, full bodied, deep wine. Massive, powerful, youthful and dense, yet it's also fresh, long and pretty in its nose and finish. There is great concentration with density of flavor and a strong sense of purity of fruit that really shines. Smoke, licorice, incense, barbecue, and fresh dark red fruit aromatics open to a silky, polished, sweet, long, fresh, pure, dark cherry finish. Beautiful wine in every way. Big, bold, concentrated and balanced, the massive amount of fruit was ripe, complex and sweet. The tannins were polished and the finish was long. Very stylish. The nose explodes with flowers, licorice, toast, truffle, cherry, Asian spice and black raspberry aromatics. There is a beautiful sense of purity of fruit revealed in the long, sweet, opulent finish. A lot of expensive California Cabernet Sauvignon wines are not worth the price of the ticket. This one is. What more could you ask for in a California wine, or a wine from anywhere? Incredible levels of concentrated ripe dark berries, spice, chocolate, herbs and fennel. Dense and full bodied, this wine is packed and stacked with perfectly ripe fruit. Spice box, cassis and blackberry notes in the perfume are followed by a dense, concentrated, smooth, long, wave of fresh, sweet cassis and blackberries that really makes an impression. Not as good as it should have been. This rustic slant and green flavors were too much for this wine. At 20 years of age, this is showing perfectly. Truffle, tobacco, earth and fresh black cherries open with no effort. Soft in texture, medium bodied and open, this is probably drinking at its peak. Cleary, this is not a wine for everyone. It's extremely ripe, with notes of over ripe fruit, raisins and figs. This is so concentrated, you can eat it, if you prefer your wine with a spoon. This is unique in style and some tasters are going to be blown away by the wine, while others are not going to finish their glass. Layers of black fruit seem to last forever. This is a huge, very concentrated wine that continued evolving in the glass. This was a pleasure and a privilege to taste. Deep, concentrated, full bodied and tannic. Cassis, blackberry, licorice and earthy scents were easy to locate. The concentrated wine is round, soft and complex. Coconut, coffee bean, smoke, licorice, earth and ripe blackberries with dark cherries to round it out, the wine is juicy, rich, ripe and full bodied. Produced in a style that grabs the middle ground between ripe, modernity and classic, there is a lot to like about the wine. 1991 Dalla Valle Cabernet Sauvignon is stuffed with black raspberry, tobacco, earth, cassis, espresso and cigar ash. From a blend of 88% Cabernet Sauvignon, 9% Cabernet Franc and 3% Merlot, this powerful wine has years to go.